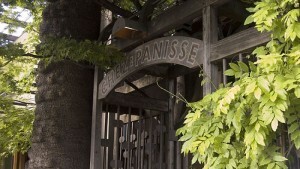 If you ever have $100 lying around, you should stop by Chez Panisse. Our very own Berkeley landmark has recently been named in the top ten of The Huffington Post’s “The 101 Best Restaurants in America”. Hailed for its use of fresh, locally grown ingredients, this internationally renowned culinary institution was called “a must” and with items such as chocolate and tangerine ice cream profiteroles, we can see why.